Easily grown in well-drained soils with full sun. Pinching back stems will control flowering and height. 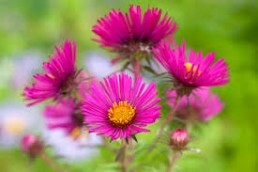 Flowers can vary from lavender, purple and all shades of pink. Nectar is great for pollinators such as the monarch butterfly and other butterflies.